. . . Inspiring Views Everywhere! 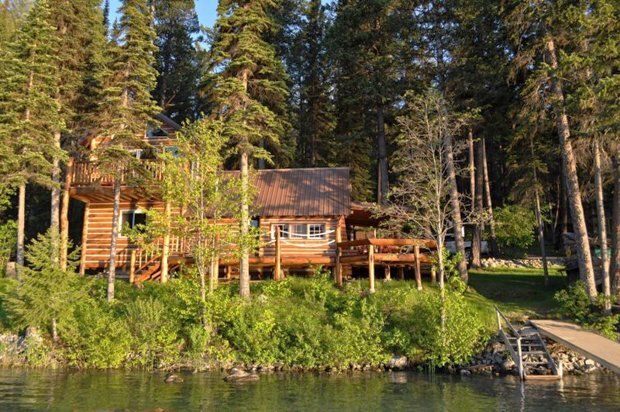 Imagine the breathtaking Montana sunset, the scenic Ashley Lake against a mountain backdrop, and a property surrounded by woods – what could be missing but a log cabin for vacationers and nature lovers to take shelter in, rest and enjoy the amazing views of the place through the windows. 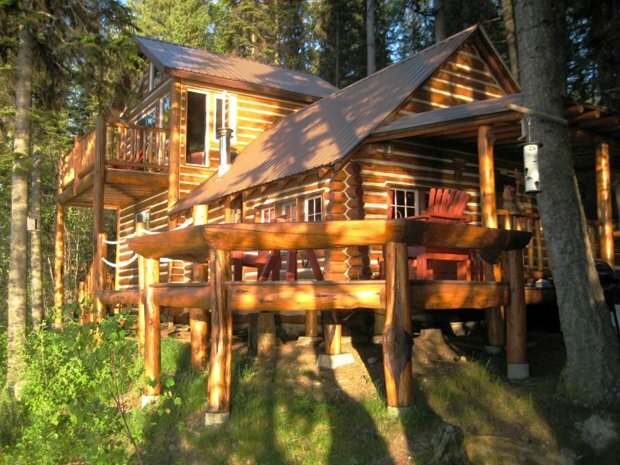 That log cabin is no other than the Ashley Lake Cabin located within Ashley Lake North Campground in Montana. 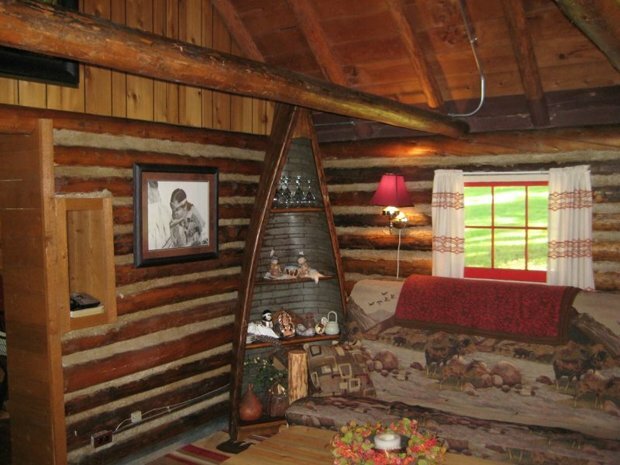 It’s got a bedroom upstairs, sufficient for a small family of 3 or 4. 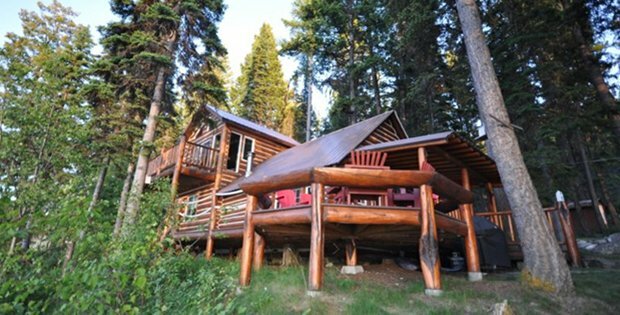 For a bigger family of about 7 people, a Lakefront Bunkhouse is available on the adjoining property with 4 beds to accommodate 7. With a marina a few steps down and a deck overlooking the lake, it’s a perfect haven for boating, to watch boaters pass by and to take in the amazing views all around. Take a look at the photos and tell us what you think on our Facebook Page! 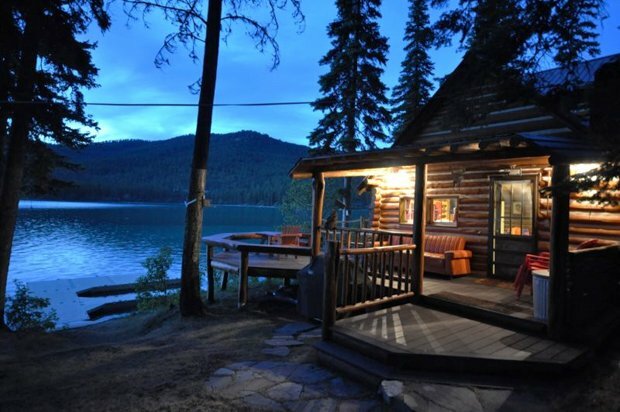 This adorable log cabin on Ashley Lake, 13 miles west of Kalispell, is a perfect place for family vacation, hunting retreat or a romantic ‘getaway.’ Located right at the water’s edge, it has a great view over Ashley Lake, perfect to watch the boaters go by and to take in the classic Montana sunsets. 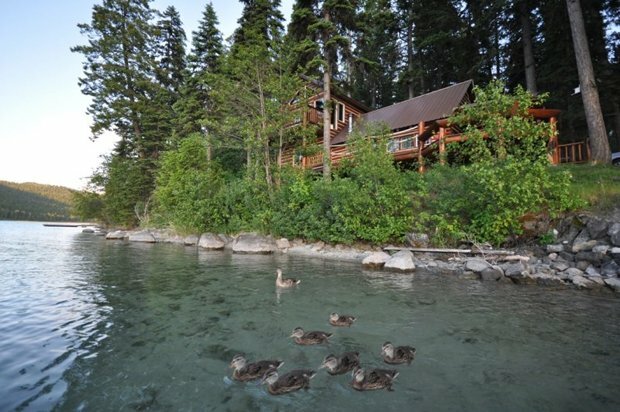 There is an upstairs master bedroom with a queen bed and lake views, a futon in the living room, a kitchen, bathroom, laundry room and a private dock.